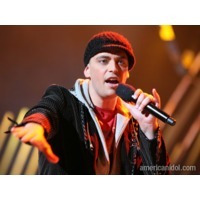 Joel Philip "Phil" Stacey (born January 21, 1978) is an American singer who first gained national attention on season 6 of the television talent show American Idol. After being eliminated from the competition on May 2, 2007, he was signed to a recording contract with Lyric Street Records. His debut single, "If You Didn't Love Me", was released to radio in early 2008 as the lead-off to his self-titled debut album, which was issued April 29, 2008 on Lyric Street. Stacey's second album, Into the Light, was released on August 25, 2009 via Reunion Records.